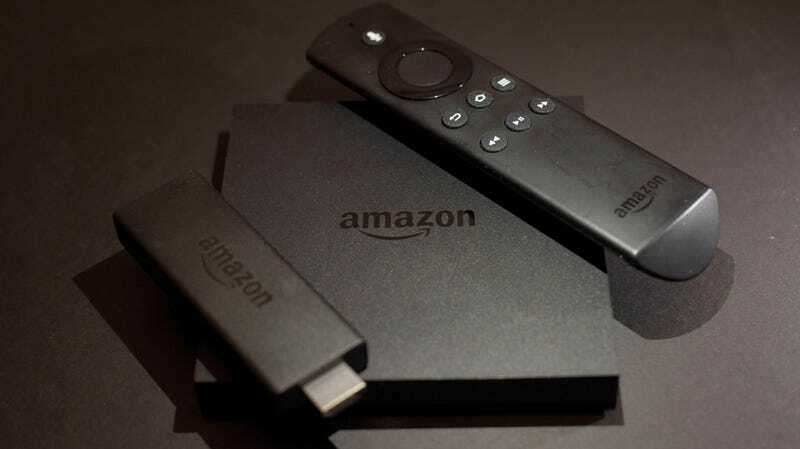 Amazon and its subsidiary company IMDb are preparing to launch a free, ad-supported service for its Fire TV digital media player “similar to The Roku Channel or some parts of Hulu,” CNBC reported on Monday, citing sources knowledgeable about the project. On the new service, advertisements can appear between content, and marketers will be able to wrap ads around an embedded video “player,” similar to the experience on many web sites. Amazon already allows commercials on content on Fire TV apps, but this would vastly expand the offering and allow for more insights from Amazon’s massive user base. According to CNBC’s report, the free service seems intended to draw on media companies’ libraries of older content. There’s mention in the article about the possibility that Amazon could set up a similar ad-supported service featuring Prime Video content, but Amazon told CNBC it does not currently have any plans to do so. It makes up most of the “other” segment in Amazon’s earnings statements, growing 132% to $2.2 billion in the second quarter. Wall Street firm Cowen estimates it will generate $8 billion in revenue from the category this year. That’s still a tiny fraction of Amazon’s expected $200 billion-plus revenue this year. And it is well behind what Facebook and Google make from digital advertising—Facebook had $13 billion in advertising in the second quarter alone. But Amazon’s access to shopping data gives it the chance to become a formidable rival. While TV networks still receive the bulk of video advertising, the site added, Amazon hopes that it can capitalize on its extensive databases of customer info to offer “more video inventory to advertisers that are eager to use the company’s targeting capabilities.” One key advantage for Amazon is that the platform is projected to control half of the U.S. e-commerce market, and all that shopping data could eventually help it take on the Facebook-Google duopoly in online ad dollars.